Scientists are putting crocodiles in MRI scanners and playing Bach to better understand how their brains work. In a rather bizarre bit of research, scientists are playing the music of Johann Sebastian Bach to crocodiles as they sit in MRI scanners in order to better understand the inner workings of their brains. 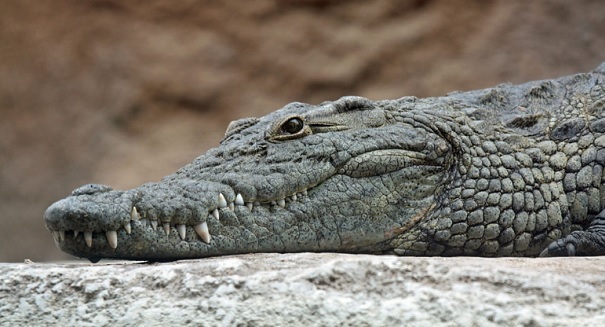 Specifically, the test allows scientists to unlock the mystery of how the brains of crocodiles evolved, and how they differ from those of birds and mammals. This study is one of the first efforts to examine the brains of reptiles in such detail, as previous studies had focused on mammals and birds. Reptiles present a unique challenge because they are cold blooded and therefore it is tough to record blood oxygenation level since it is depenedent on their body temperature. And of course there is the fact that they are dangerous creatures to work with, an additional obstacle. So researchers took young Nile crocodiles and kept the temperature in the MRI scanner constant so the results would be consistent. They also bound the young crocodile to limit the danger and keep them still in the machine. In all, researchers exposed five young crocodiles to visual and auditory stimuli, including playing Bach’s Brandenberg Concerto No. 4.